As Chorus Manager, Kelly Buchanan is responsible for handling communication with chorus members, partnering organizations, and rehearsal and performance venues, maintaining attendance records and rosters, and serving as liaison between the chorus and the Choral Arts staff and Board of Directors. Kelly Buchanan comes to the position of Chorus Manager after having joined Baltimore Choral Arts as an alto in 2009 and having served as a music librarian for the organization from 2016-2018. Most recently, she worked at the Arthur Friedheim Music Library at the Peabody Institute. She also currently serves as a staff singer and music librarian at St. David’s Episcopal Church in Roland Park. 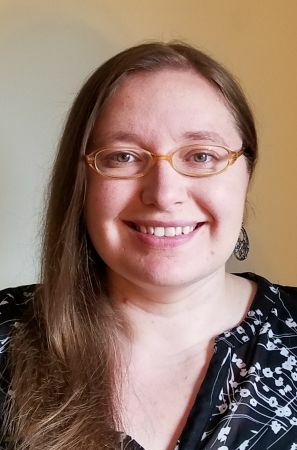 Kelly studied English literature at the College of Wooster, with minors in music and theater, and also holds a Master’s degree in English from Villanova University and a Master’s of Library Science from the University of Maryland, College Park.